The Winter Olympics should be abandoned. Take away its rings and its eternal flame. It is polluting the concept of Olympics – Sport for All. Only 26 of the 200-something countries in the world got on the medal table. The games are so hopelessly skewed to the richer and/or more snowy bits of the world that most countries cannot compete. Three African countries were able to send representatives to Sochi. That’s not so bad, you may think, til you dig a bit deeper and find they are “representatives” in name only. Zimbabwe sent 20 year old Luke Steyn, who was coming 59th in the Slalom after his first run, and it only got worse from there, ending in a DNF. He has lived in Switzerland for the last 18 years. Morocco sent two Alpine skiers, who performed perfectly credibly. Norway won 26 medals, coming third on the medal tally, behind the hosts, Russia, with 33, and the US, with 28. Its Scandinavian comrades were not too far behind. Sweden snagged 15. Finland got five. 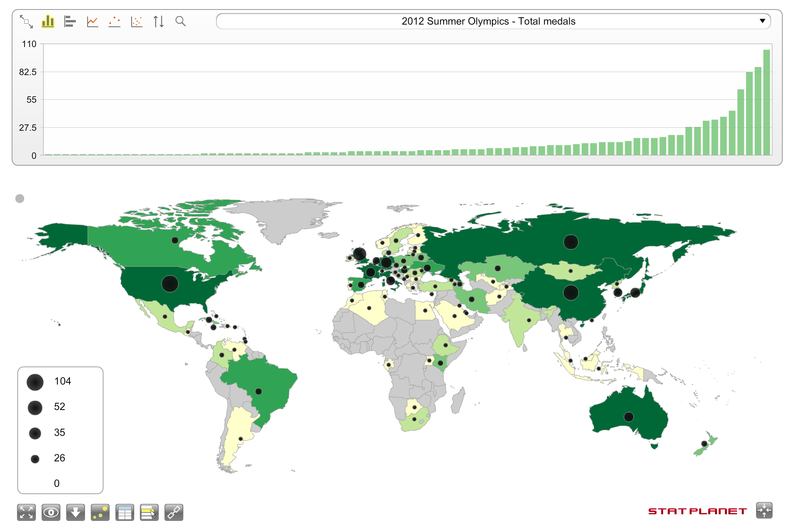 Here’s another way of looking at how narrowly held Winter Olympic glory is. 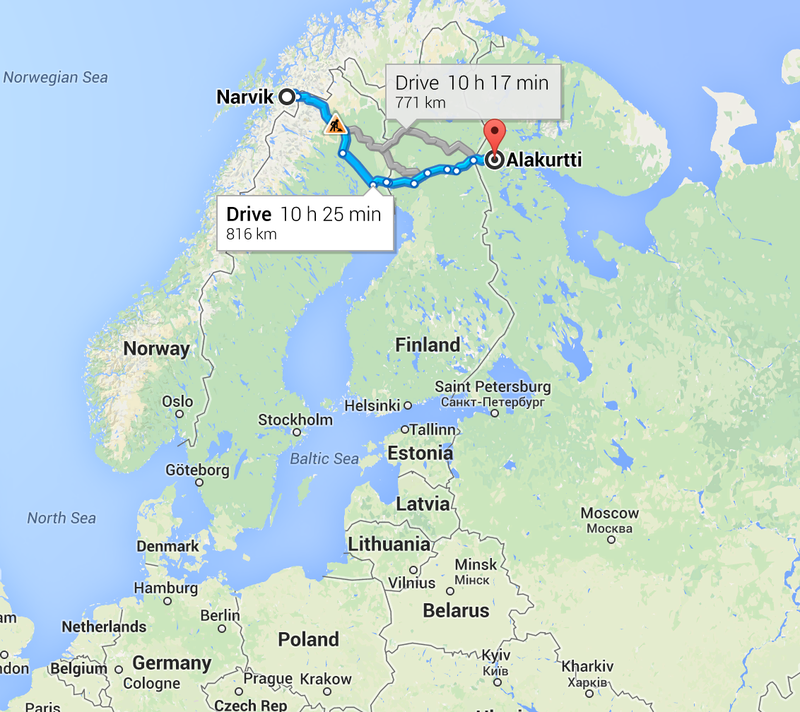 You could go through those four adjacent countries – that won 27 per cent of the total medals – in one day, stopping for petrol maybe once (and getting caught in some Swedish roadworks apparently). Now, the Summer Olympics is not fair either. 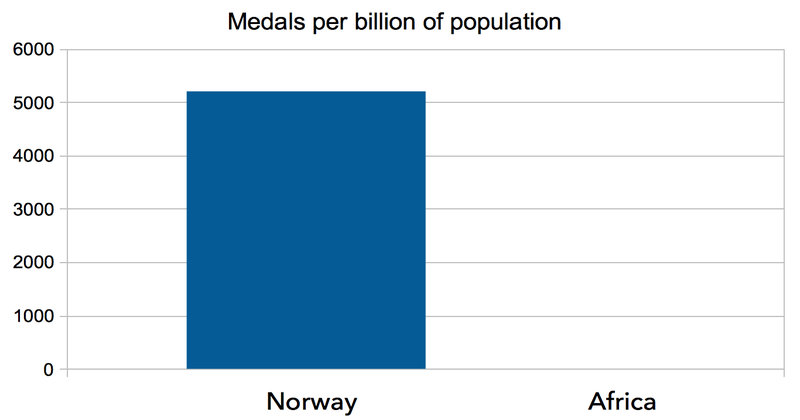 Rich countries win most of the medals. But poor countries at least have a chance. India wins a medal or two. So do Brazil, Iran and Indonesia. And Kenya. Especially Kenya. In 2012, There were 86 countries that medalled in the summer Olympics, or as I call them, the real Olympics. All continents were represented. That’s a result worthy of the five Olympic rings. Countries are on the equator don’t really get a winter. Winter, snow, ice and the Winter Olympics along with them, are geographically specialised concepts in a way the Summer Olympics isn’t. You can run 100 metres at minus 10 degrees or plus 40. Not to mention the equipment. I bet you ten dong that people in Vietnam look at skis, snowboards and ice-skates with the sort of skepticism I reserve for bobsleds and skeletons. I just googled and there is nowhere in Nigeria, Africa’s most populous country, to buy a snowboard. The Winter Olympics are just a fantasy realm of preposterousness for billions of people. I feel qualified to say all this because I love winter sports. But I love AFL too, and I’m not campaigning for a special Olympics for sports played inside ovals. I think the Olympics should be about giving as many people as possible a chance. Sports being excluded from the summer olympics for being insufficiently popular include baseball, with 35 million global participants. They almost cut wrestling out too. Meanwhile, the winter Olympics carries on with Biathlon and four versions of ski racing: Downhill, Super G, Giant Slalom and Slalom. Amazed? I’ll tell you why we get a winter Olympics despite most of the world’s population living near the equator. Most of the world’s wealth is located far from the equator. It’s a shame the populations of Africa and South America are excluded from that every four years. We talked about bad brand extensions the other day. The winter Olympics is one. They drag down what the Olympics are supposed to be all about. I bet Norwegians and Canadians are getting all upset round about now. Don’t worry. I do believe you should still be able to put your tuques on for a big winter sports party every four years. But you should not be allowed to call it the Olympics. By your measure shouldn’t all sports that require expensive equipment be thrown out of the Olympics as well? Golf is in the Rio games in two years, I’m pretty sure we won’t see many Kenyans in that event. Same with swimming, very few people there without pool access. Equestrian events are pretty much only for the rich and entitled folks, most of whom have some form of connection with royalty or old, distinguished families. Shooting events are right out, guns or archery gear is expensive and some countries don’t even allow them any more. Cycling goes the way of the dodo, a bicycle is expensive. Gymnastics require access to gyms and various apparatuses, so that has to go. Rowing and sailing events are just completely unfair to landlocked countries, so away with it. Soccer already has it’s own world class events that are not only more important than the Olympics, they’re also more popular, so that has to go. Basketball is extremely skewed towards the US and it’s pretty much a sideshow to the NBA, away with it. Team handball is extremely Euro-centric and is pretty much unheard of outside Europe, so that goes. Tennis is a staple of the rich and well-off, don’t see how that should be an Olympic event. Diving not only requires a pool but also a diving board, so say goodbye to that. Rugby sevens isn’t even contested at a high level anywhere, it’s all about league or union, so that shouldn’t even be in there in the first place, away with it. Martial arts requires expensive lessons in expensive dojos and gyms, so that has no place in the Olympics either. Weight lifting can’t be done without the actual weights themselves, and those are also expensive so no go there. All athletics events that require any specialized equipment has to go as well since I doubt there’s very many shops in Nigeria that stocks javelins, discuses or hammers either. Not to mention bars, mats and poles for the high jump and pole vault. So, what are we left with then that gives an even playing field for everyone regardless of economic background or climate? Wrestling, running and long jumps. That’s it. It’s gonna be one hell of an Olympics that. Best afternoon EVER! Boxing can stay, but only if it’s bareknuckle. Doubt there’s very many places in Ethiopia and Gambia you can get the gloves and that helmet-thing they’re wearing, and they’re probably expensive as well. I’m just trying to find your angle here and the purpose of even writing this piece to begin with. Let me know if I’m close. 1: You’re butthurt that Australia only took home 3 medals and there was no “Bradbury-moment” for you to salivate over. 2: You’ve never even SEEN snow or ice outside of a snocone or icecubes and as such can’t fathom how anything done with it or on it can be competitive and hugely popular. 3: You’re leaning to the far left of the political spectrum and simply hate anything that means spending money or allowing those that has money to enjoy it. 4: You attempted to write this as a sarcastic piece but completely failed at making that clear in the text. 1. Is true. We live for gold. 3. Probably need a lot more expensive therapy to unpack this one. 4. Sarcastic? Is that like ironic? Srsly tho this piece is just a ramped up, hyperbolised take on the fact that we celebrate as global something inaccessible to the poor. I think thats a real issue! Interesting that you have to defend a critique of the Winter Olympics or the “Summer” Olympics for that matter. International elite sport is tainted by maladministration, drug scandals, corruption and highly undemocratic processes. My question is why rich countries need to flatter themselves by creating such uncompetitive environments – massive inferiority complexes going on there. Who’s life is so empty they have time to watch these kitschy circuses? Just because there are no specialised shops (the truth of which I very much doubt), doesn’t mean that Africans can’t access this equipment. All they need is the internet, and I am certain that every single Nigerian has internet access, since Nigerian scam emails became the country’s number one export. Maybe you should look at them both as two sides of a coin (dont you love stupid analogies!). And then we could all just agree that equestrian and curling events should be banned for reasons of boredom. When you factor in the high cost of coaches, travel and elite training venues, the idea that the Olympics of either season are democratic is highly suspect. Even the Kenyan runners don’t show up unknown and fresh from the hills. Athletes from wealthy countries or athletes competing in sports with good regular income opportunities (tennis, soccer, basketball, marathon running etc) always have an edge. As for winter sports, countries without access to snow may still have ice rinks and those sports account for quite a few Olympic medals (as the Dutch demonstrated). And there’s always recourse to that global Olympic sport – nationality swapping. The number of athletes who do not compete for the country where they were born and raised, and especially, where they train, is quite staggering. For example, the Australian contestant in the ladies figure skating was born, raised and trains in Connecticut. The Olympics were designed to allow rich third rate amateur athletes to compete in obscure events. Until about 1980 the average Olympic athlete was an uncompetitive university student who wouldn’t win a modern state junior championship. All the best people played professional sport. Previous Previous post: Rapid growth of WhatsApp should actually make Facebook frightened.